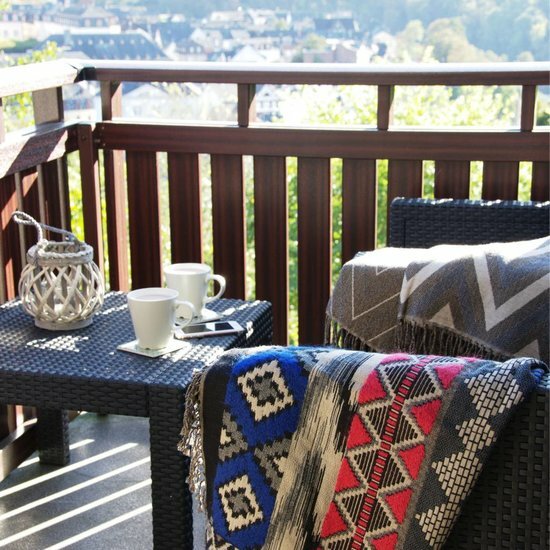 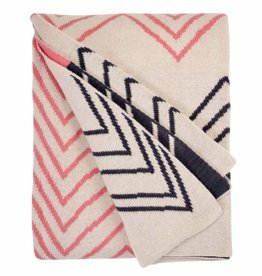 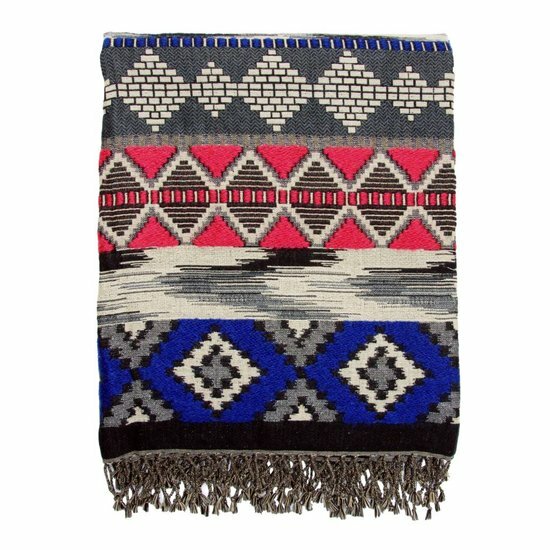 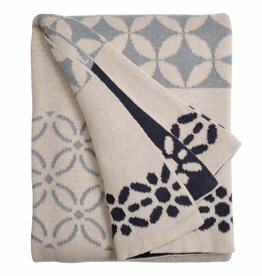 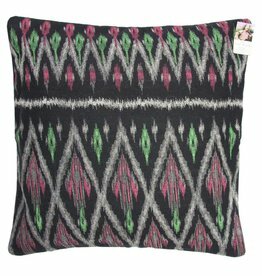 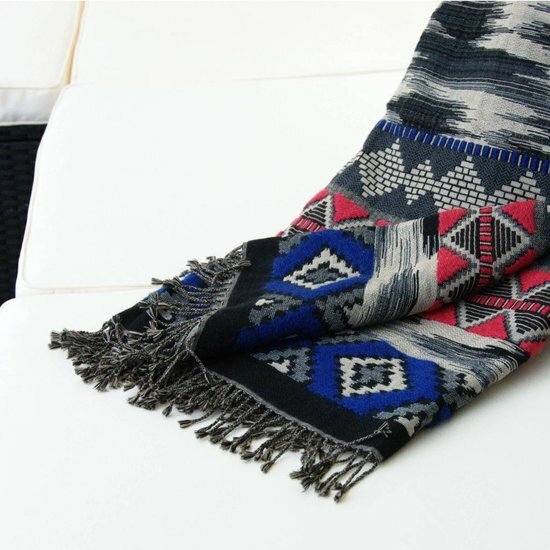 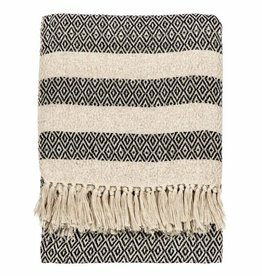 Ethno look throw blanket with geometric patterns and tassels. 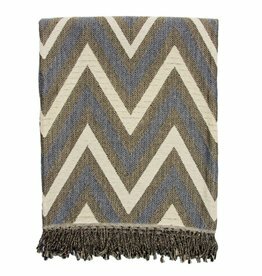 Very versatile, it can be used as a bed or sofa throw, blanket or XXL scarf. 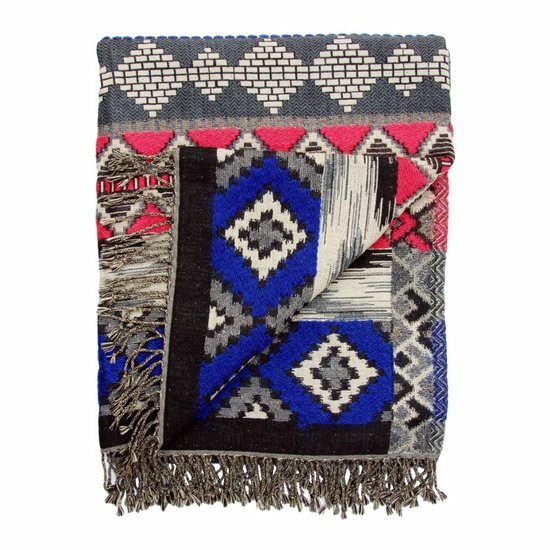 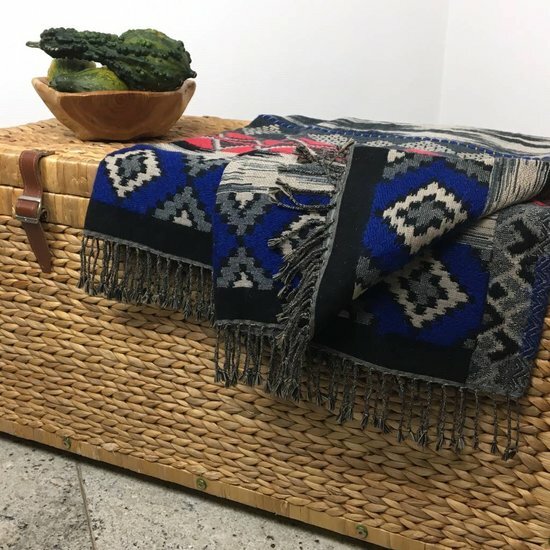 The beautiful mix of colours and the soft materials make this stylish Ethno blanket a perfect accessory for your home.